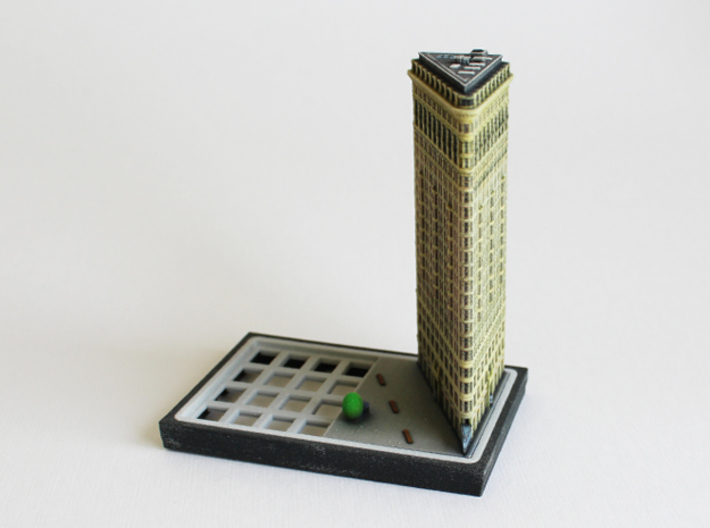 One of the classics in the Ittyblox miniature collection! 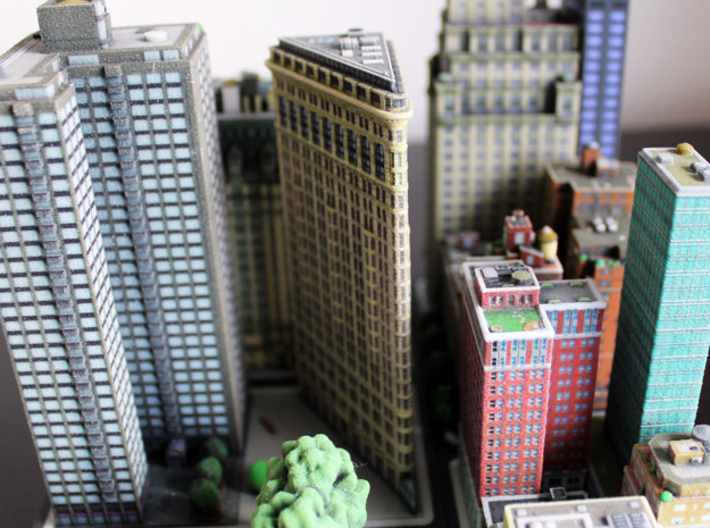 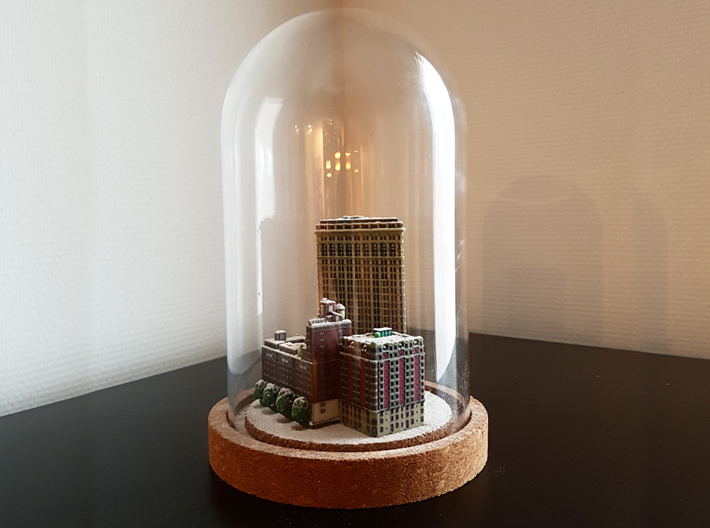 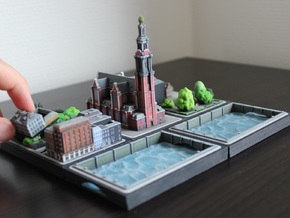 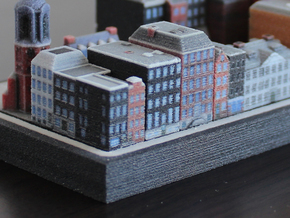 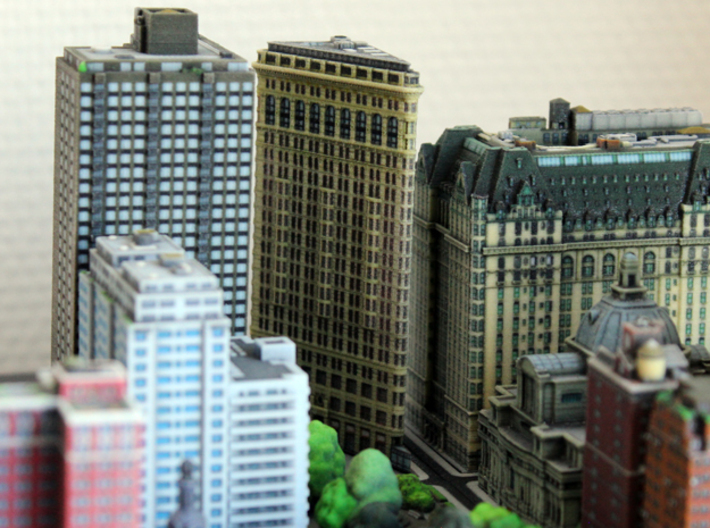 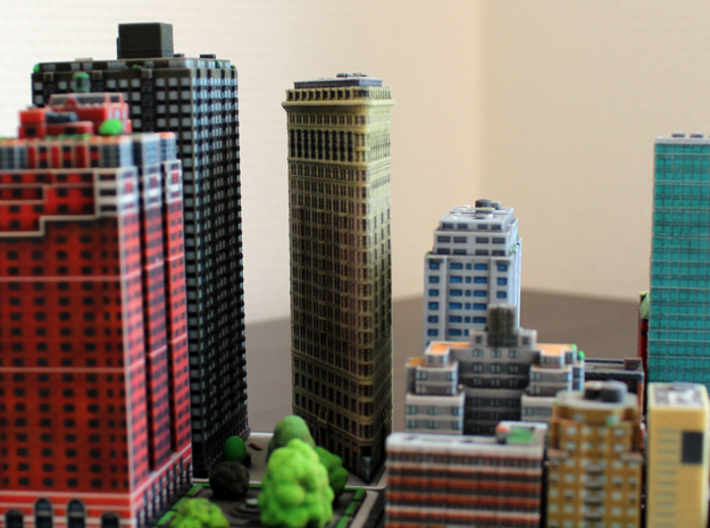 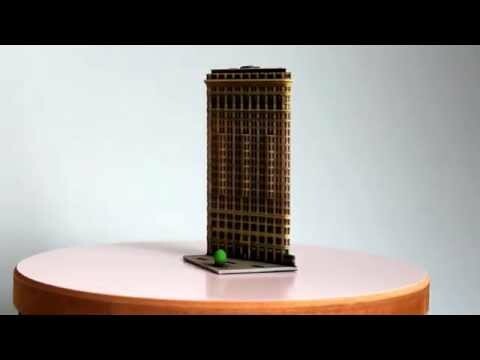 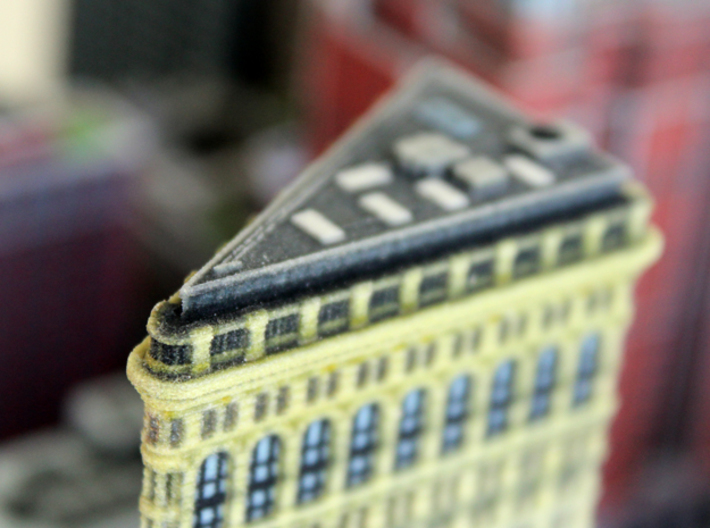 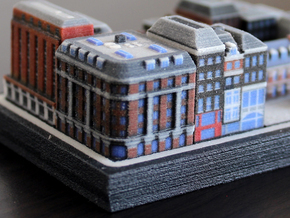 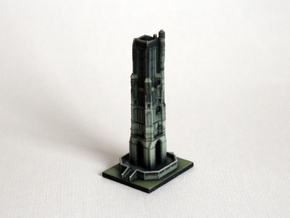 This full color 3D printed model features many little details and is a great center piece of you Ittyblox miniature city or maybe just a single homage to architecture in your living room! 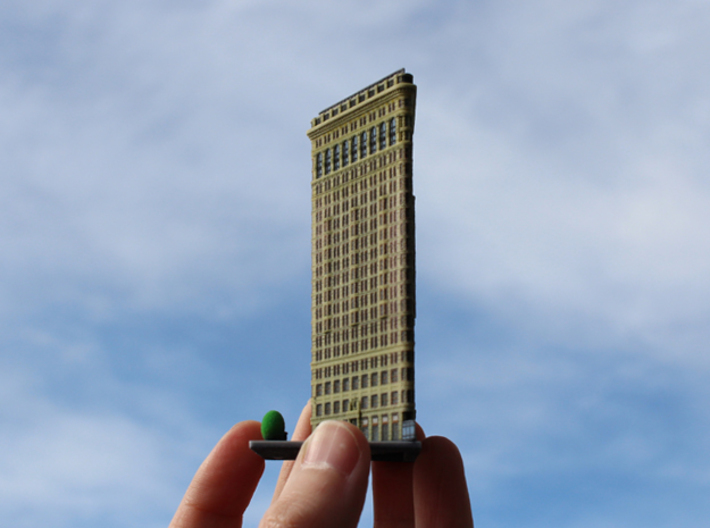 The Flatiron Building, originally the Fuller Building, is located at 175 Fifth Avenue in the borough of Manhattan, New York City, and is considered to be a groundbreaking skyscraper. 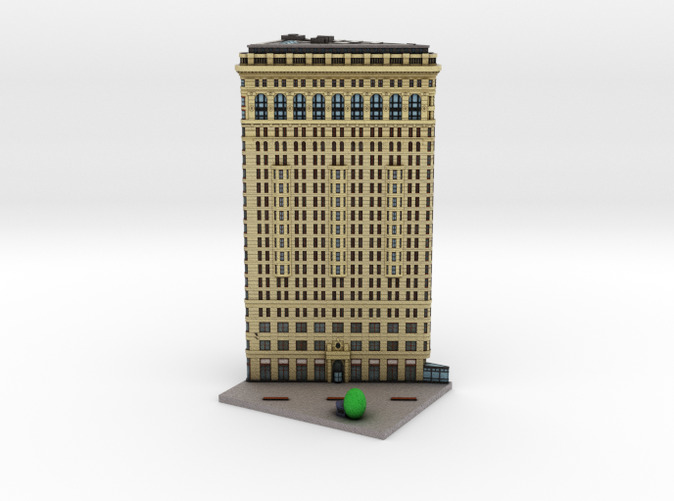 Upon completion in 1902, it was one of the tallest buildings in the city. 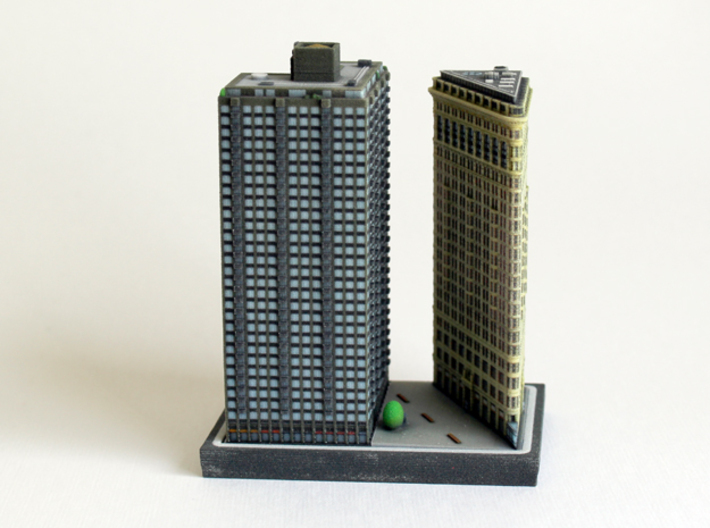 The building sits on a triangular island-block formed by Fifth Avenue, Broadway and East 22nd Street, with 23rd Street grazing the triangle's northern (uptown) peak. As with numerous other wedge-shaped buildings, the name "Flatiron" derives from its resemblance to a cast-iron clothes iron.